I can’t believe it’s September already and that means fall is quickly approaching. 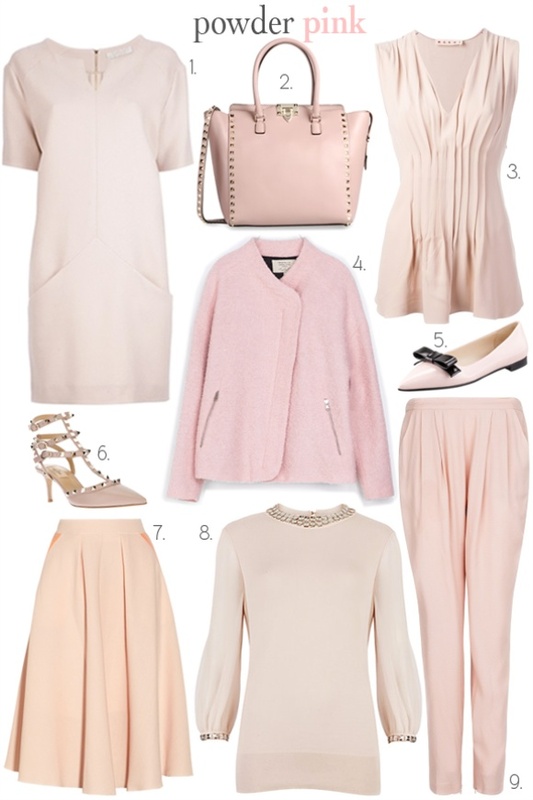 Another trend I’m loving this upcoming season is powder pink. Pastels are typically reserved for spring, but this season this lovely muted pink is softening fall’s colour palette. I’m definitely a pink kind of girl but I especially love how pale and feminine this hue is. It’s a refreshing contrast to all the darker colours that fall is usually associated with. I can't wait to embrace my uber girly side this fall and be powder pink pretty.